About two hours from bustling Milan and touristy Venice is Verona — a welcome sip of pure, easygoing Italy. 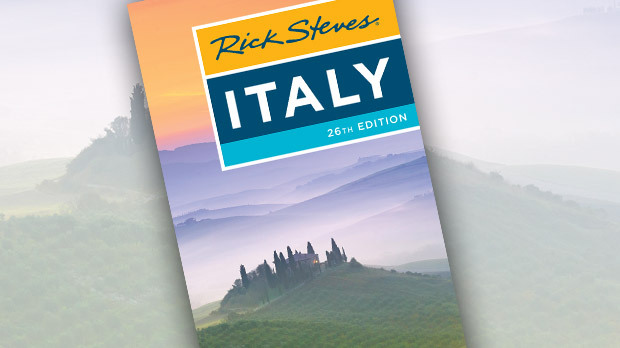 Made famous by Shakespeare's star-crossed lovers, Verona is Italy's fourth-most-visited city and second in the Veneto region only to Venice in population and artistic importance. If you don't need world-class sights, this town is a joy. Shakespeare's Romeo and Juliet made Verona a household word. Locals marvel that each year, about 1,600 Japanese tour groups break their Venice-to-Milan ride for an hour-long stop in Verona just to stand in a courtyard. The House of Juliet, where the real-life Cappello family once lived, is a crass and throbbing mob scene. The tiny, admittedly romantic courtyard is a spectacle in itself, with visitors from all over the world posing on the almost believable balcony and taking snapshots of each other rubbing Juliet's bronze breast, hoping to get lucky in love. The city is so famous for love that it gets countless letters addressed simply to "Juliet, Verona, Italy." There are even volunteers to respond to these mostly lovesick people (see www.julietclub.com). And they're getting even busier, thanks to the movie Letters to Juliet, about a girl (Amanda Seyfried) who finds a letter while visiting the House of Juliet and travels through Italy to help reunite the author with her lost love. Despite the romantic fiction, the town is packed with genuine history. Because ancient Romans considered Verona an ideal resting spot before crossing the Alps, the city has a wealth of Roman ruins. The well-preserved amphitheater — the third largest in the Roman world — dates from the first century a.d. and still retains most of its original stone. 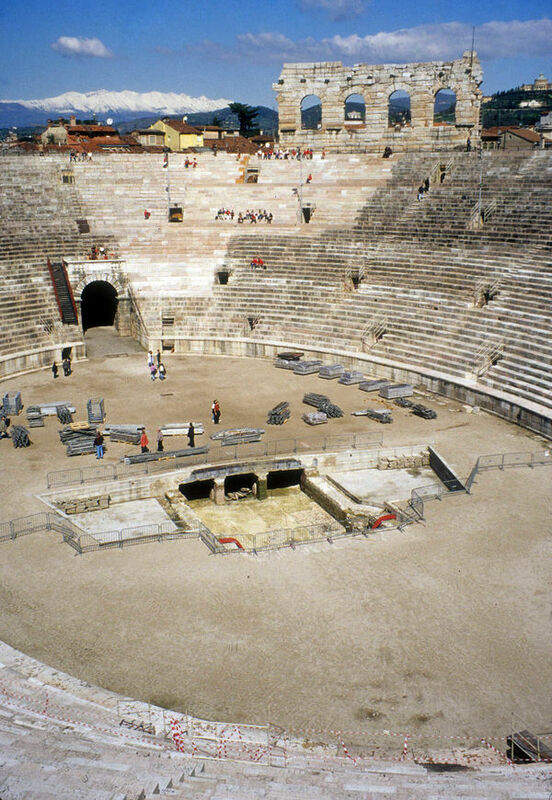 Over the centuries, crowds of up to 25,000 spectators have cheered Roman gladiator battles, medieval executions, and modern plays — including Verona's popular summer opera festival, which takes advantage of the arena's famous acoustics. Corso Porta Borsari was the main drag of Roman Verona. A stroll here makes for a fun, ancient scavenger hunt. Remnants of the town's illustrious past — chips of Roman columns, medieval reliefs, fine old facades, and fossils in marble — are scattered among modern-day fancy shop windows. You'll end up at Piazza Erbe, Verona's market square, where vendors come to slice and sell whatever's in season. People have gathered here since Roman times, when this was a forum. The whale's rib, hanging from an archway for 500 years, was a souvenir brought home from the Orient by spice traders. Today Piazza Erbe is for the locals, who start their evening with an aperitivo here. It's a trendy scene, as young Veronans fill the bars to enjoy their refreshing spritz drinks, olives, and chips. After spritzing, it's time for feasting. And Verona has its share of excellent eateries. One of my happiest memories from a recent trip is eating with my friend Franklin at Enoteca Can Grande, where we let the chef, Giuliano, bring us whatever he wanted. The carne cruda (raw beef), was, as Franklin put it, "like seeing the smile of a beautiful woman after 10 years. You never forget her." The mortadella (Italian-style baloney — not a high-end meat) was served with black truffle. It was exquisite. Imagine calling spam exquisite...just add truffle. Then came the best polenta I'd ever tasted, with anchovies. As it turns out, anchovies and polenta are a "good marriage." For dessert: a plate of voluptuous slices of cheese. "Even if we do not talk," said Franklin, "with these cheeses we have a good conversation." As I held the warm and happy tire of my full tummy, I thought about how Italians live life with abandon — and how they enjoy their food. Besides eating, for me the highlight of Verona is the evening passeggiata (stroll). It's a multigenerational affair. Like peacocks, the young and nubile spread their wings across the wide sidewalk promenade, made broad by the town's Venetian overloads in the 17th century so the town's beautiful people could see and be seen in all their finery. Whenever I stroll here, I find myself surrounded by little love stories — romantic snapshots fluttering in and out of my world like a butterfly. A guy on a bike pedals gracefully by, his girlfriend sitting on the handlebars embracing him. A woman tells me that her husband is her mezza mela — half an apple. Apparently, when soul mates find each other in Italy, it makes the apple whole. I don't know if all of this love is related to the Romeo and Juliet hype — or if it's just the natural high that comes from living in such a joyful and connected place.